Here are two more winning projects from Wobis Sobi blog by Anne. 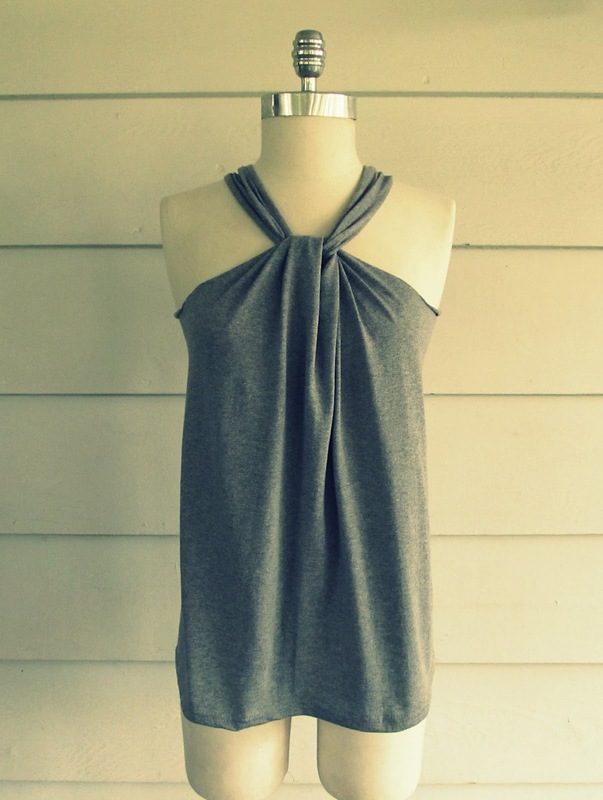 She takes plain T-shirts and turns them into fashionable tops. With the right accessories, they would look great in the evening too. I wonder if you could get a T-shirt long enough and turn it into a dress. Click on the links below the pictures for the tutorial. These project make me want to go out and buy some T-shirts!